It's time to put an end to the sales pitch and a beginning to putting yourself out there. you understand social media is more than just selling. and it shows. You recognize the importance of Instagram. You see how well Instagram is working for other real estate agents, business owners, and creative entrepreneurs. You also understand that in order to be successful you have to share more than just work photos with your followers. So you are focused on sharing a good mix of business and personal. So far it seems to be working but it can be better! 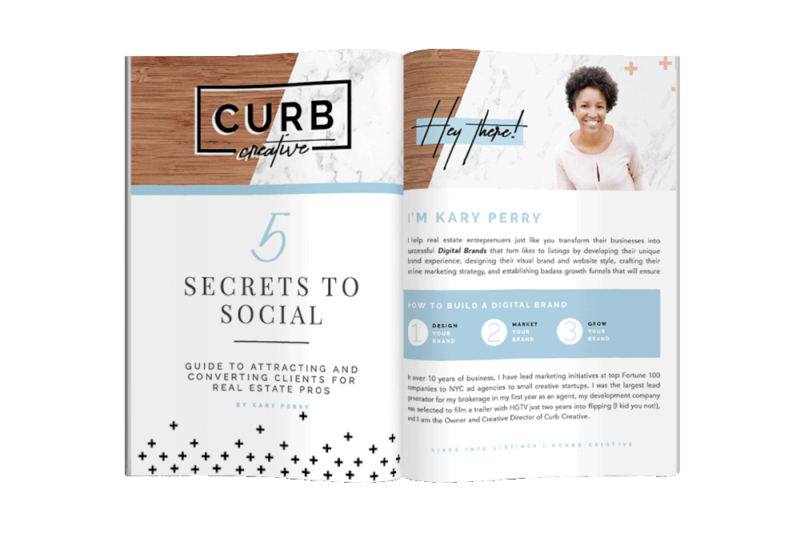 It's time you get even more strategic about Instagram so you can start connecting and converting. you GET ON INSTAGRAM BUT YOU DON'T ACTUALLY DO ANYTHING. and it shows. Instagram is a fun way to kill a few bored moments. You scroll and lurk, occasionally like things, but rarely ever comment. Your feed hasn't seen a new photo in months. You are genuinely impressed with how easy other people make Instagram look. And whenever you even think about getting serious about Instagram you get immediately overwhelmed! It's time to get off the sidelines and get in the game. Instagram is your personal in-the-moment scrapbook. You post a healthy amount of selfies, memes, food photos, and snaps of your dog, baby or friends. You rarely post anything about work and when you do you are usually complaining about something or someone. If you have a brand it is not represented on your Instagram feed. Your followers are mostly friends and family and that's okay with you because you definitely wouldn't want potential clients seeing your posts (yikes! ).